Training must be a priority and it must be consistent. You don’t have to run a hundred miles a week to be an ultrarunner. 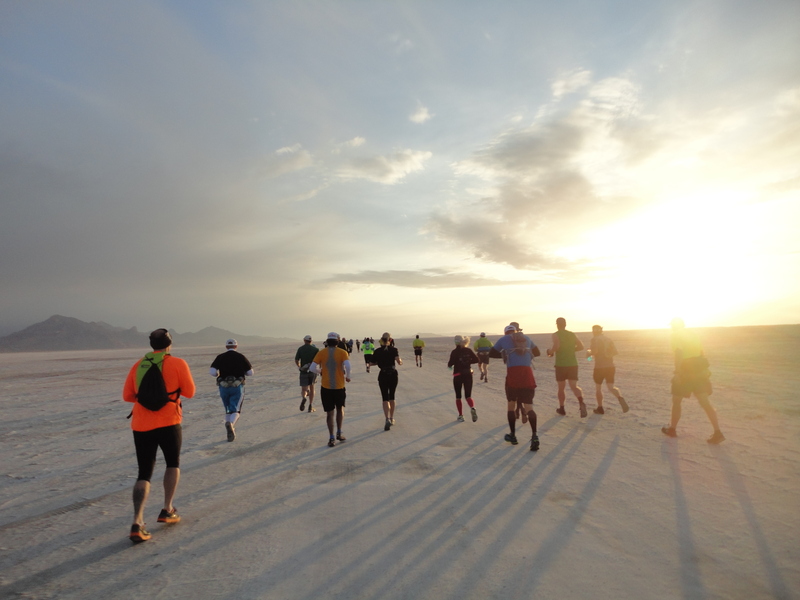 Many ultrarunners run 60 miles a week and complete 100-milers. Your training does need to be race specific. If the race has mountains, you train mountains. If the race is flat, you train flat. If it’s going to be hot, run in the heat. If you’ll run through the night, train in the dark. Weekly long runs, up to 20-30 miles, are a must. Back-to-Back runs should be done at least a few times throughout your training. Speed work is good to include, but not necessary. Be careful, speed increases your risk of injury. In ultrarunning, training your mind is as important as training your body. There will be dark times during the race where you question your ability to go on. Positive self-talk, mantras, and remembering how you’ve overcome other difficult times can get you through them. My favorite is, no matter how dark it gets, the sun always rises. An injury is the last thing you want to have as you near your goal race. Taking a rest week every fourth week by cutting your miles back by 20%, will decrease your risk of injury and help build your endurance and strength. Listen to your body and take a rest day when needed. It’s better to take a break early in training than push through and have it get worse and force you to rest late in training. It’s more important to add strength training than to cross train or to stretch. Core and hip strength are critical to maintaining your running form and preventing injuries. Two to three days a week is enough. If you have time add in squats and deadlifts with low repetitions(4-5) and maximum weight 4-5 days a week. Plan what you’re going to eat during your race. If you’re going to take stuff from the aid station, know what’s there. Train with what you plan to use in the race (this goes for gear/clothes too). Relying on gels and chews is not enough for most ultrarunners. Train with solid foods that are easy to digest, high in carbs, low in protein and low in fiber. Use caffeine strategically. Stop using caffeine a month before the race, so you can use it to stay alert during the night portions of the race. Know your hydration needs. Drinking to thirst isn’t enough during an ultra and electrolytes are a must.There are a lot of sports drinks out there, find one that works for you or use salt capsules. Pack enough for the whole race in your drop bags and with your crew. Plan for dealing with blisters, vomiting, diarrhea, dehydration, nausea, cramps, aches, and general pain. We all hope we don’t have to deal with these issues, but if you’re caught unprepared they can ruin your race. I keep a blister kit with my crew and a small one in my hydration pack. I also have ginger chews, antacids, Imodium, and Icy Hot. I avoid any pain medication. Chose happy supportive people who won’t let you back out of your goals, even if you’re crying and limping. Family and spouses are not always the best for this. Finding crew and pacers who have experience with ultrarunning is going to be very helpful to you. If you don’t have anyone with experience, you’re going to need to educate them as best you can. See my page on the Ultra crew. Adjust your calorie intake to match your decreased training. Perfect your race day strategy.